Zidanos Luxurious Villa is a brand new 1-floor villa that was built in 2016. 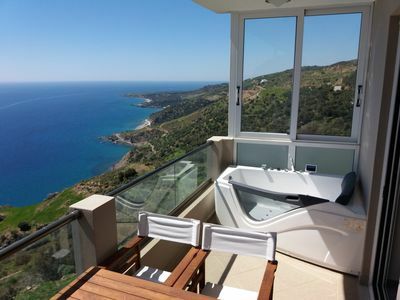 It offers its private swimming pool and direct private access to the sea (next to Amouso beach). Zidanos Luxurious Villas is a brand new 1 floor villa that was built in 2016. 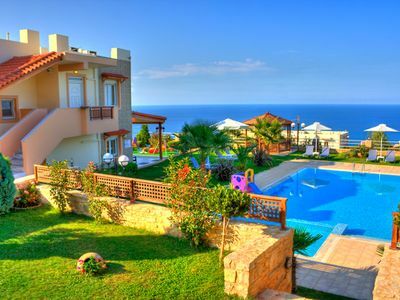 It offers its private swimming pool and direct private access to the sea (next to Amouso beach). 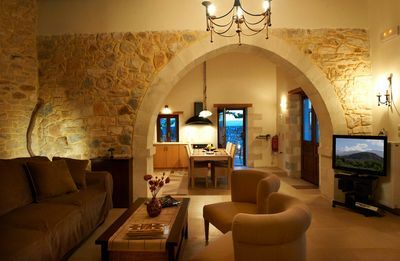 The Villa consists of 3 bedrooms, a living room, a fully equipped spacious kitchen and 2 bathrooms. The kitchen offers a refrigerator, an oven with an electric stove top with 4 elements. 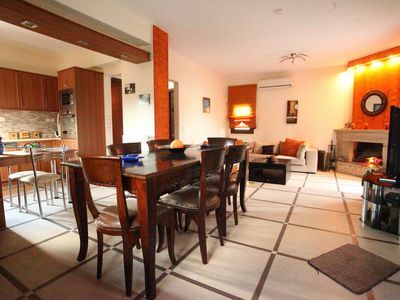 In the living room you will find a large dinner table that can sit up to 8 persons. 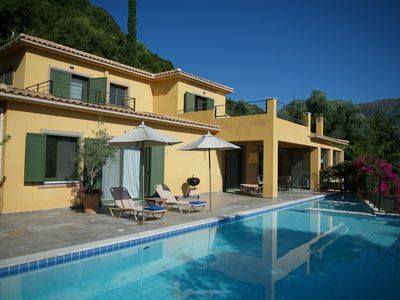 The Villa is equipped with air conditioning and heating in the entire Villa, bug nets in all doors and windows, free Wi-Fi, hairdryer and more. 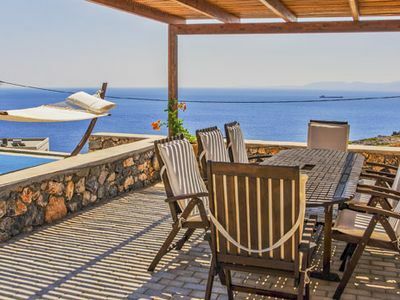 Outside, next to the pool, there is a pergola with 5 deck chairs suitable for 10 guests, and an additional 2 deck beds (can be seen in the property pictures). 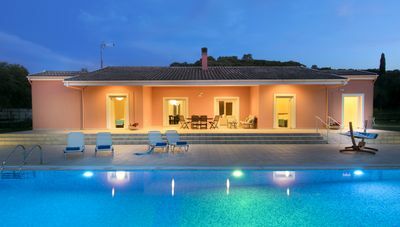 Next to the pool there is a barbecue grill that enables you to have an amazing dinner in the peaceful nature of Lefkada. There are 5 beds in the house, two queen size beds in two of the bedrooms. 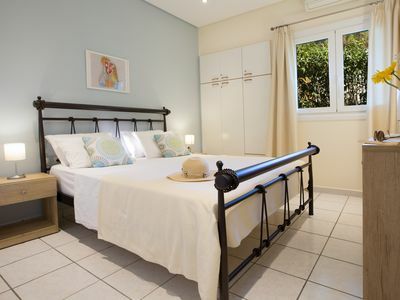 The third bedroom has two separate twin beds that can be joined into a queen bed. 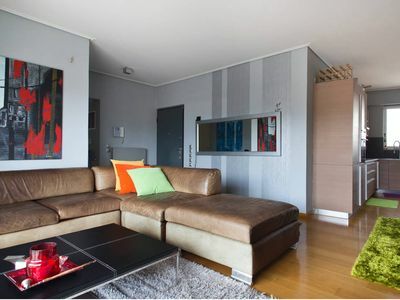 In the living room, there is a queen size sofa bed. Overall the house can comfortably accommodate up to 8 people. a crib will be supply with no extra charge. 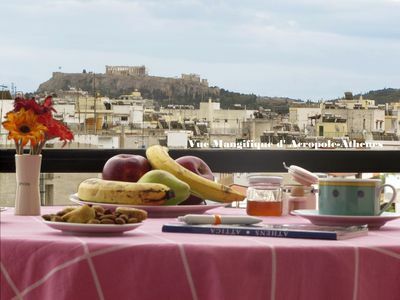 Guest are allowed in all villa areas such as: all rooms, pool and outdoor area. We are available for guests for any inquiry! 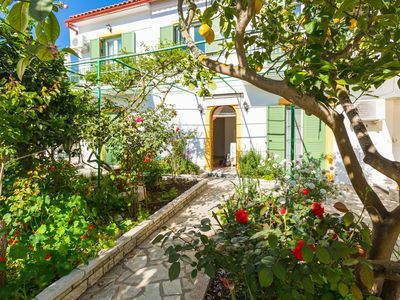 Th Villa is located in 10 minutes driving distance from Vasiliki and Sivota, 20 minutes driving distance from Nidri and 35 minutes driving distance from Lefkas town. Over there you can find a supermarket and stores for shopping. Amouso beach is 5 min. 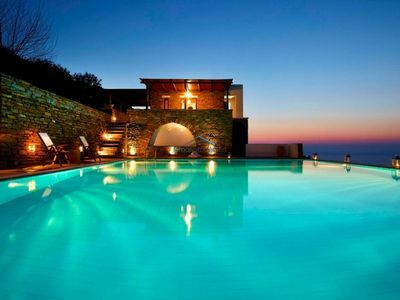 walking distance from the Villa. 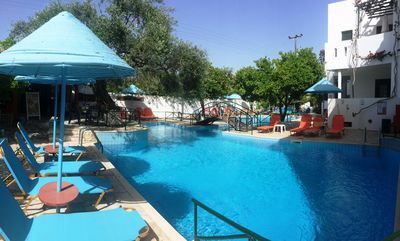 There you will find a secluded beach that offers a great taverna and a special bar. 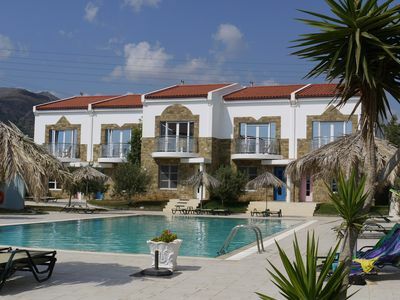 It is recommended to rent a car and travel around the area and Lefkada Island in general. 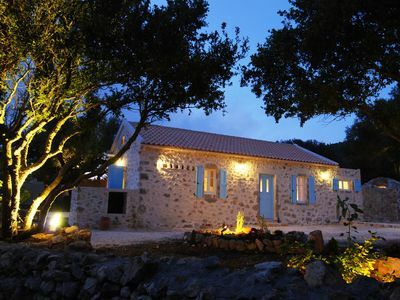 Restored Stone Villa with sea views and organic garden near Fiscardo. 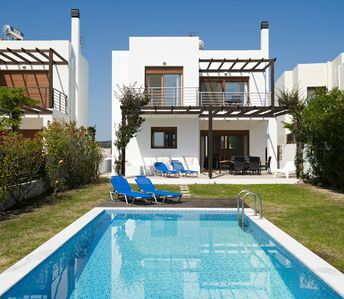 Beautifully designed with modern smart decor, inifinty pool and covered outdoor dining area with fantastic sea views. 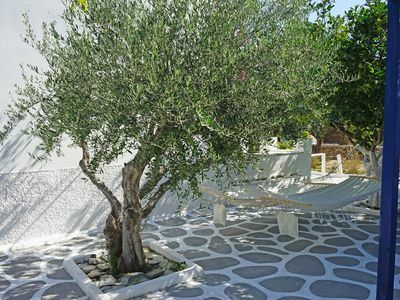 5 minute drive to Pefkos village and beaches. 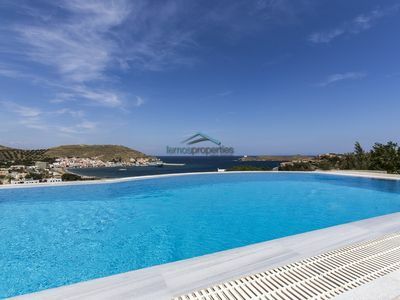 Traditional Villa with a swimming pool and a fantastic sea view. 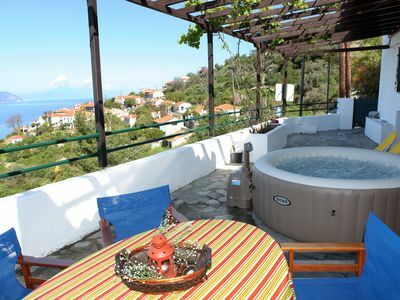 Villa Kentavros Fully private pool villa away from it all!